Blind musicians, Iraqi refugees, stressed-out emergency room doctors and men who iron clothes with their feet. These are a few of the subjects of compelling short documentary films produced this year by students in the professional and graduate programs at the American University in Cairo’s Center for Electronic Journalism. 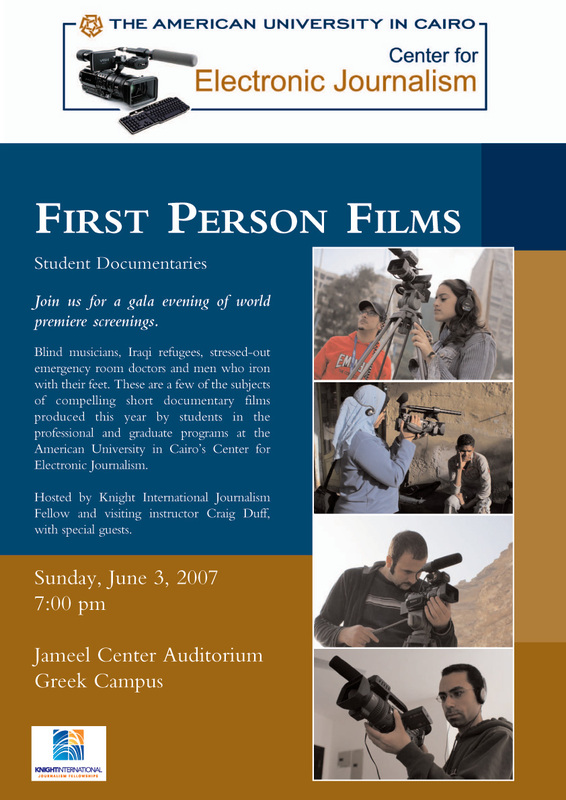 Join us (if you’re in Cairo) for a gala evening of world premiere screenings. Wish I could be there – bet the scenes hve your thumb print on them. will you bring or send an electronic version? Could the AUC Archives get a copy, as a personal favor to Steve? He was sorry to miss it.